Expert basement finishing advice | The Basic Basement Co. If you are considering finishing your basement, take this opportunity to consult with Remodel-it Ralph, our expert design and installation specialist from TheBasicCompanies.com, for insight into planning your project. We have provided hundreds of homeowners throughout New Jersey and eastern Pennsylvania with a satisfying basement renovation experience. Our experts are available to share the expertise and knowledge we’ve gained with you. 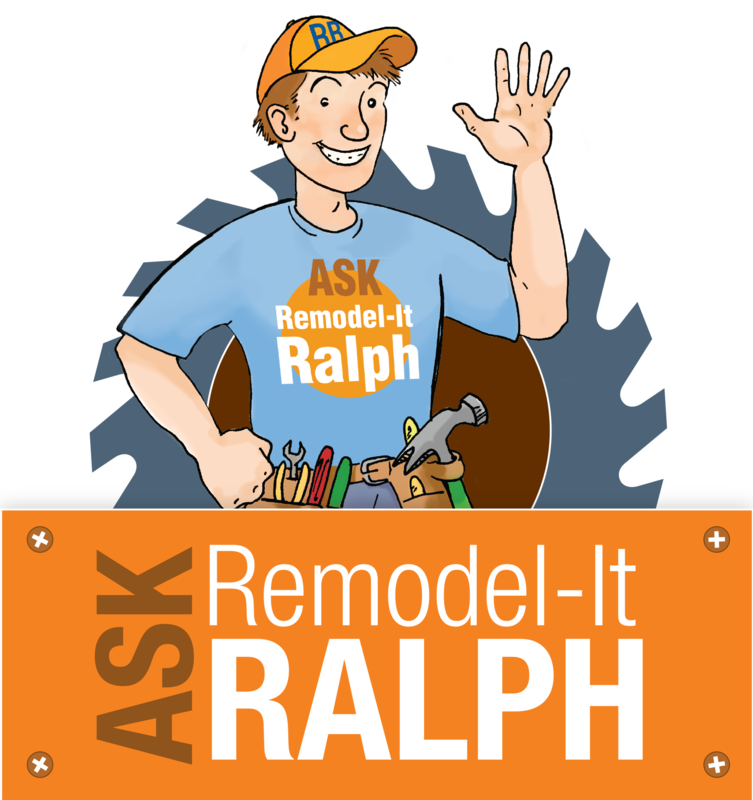 Or, read below to view responses from Remodel-it Ralph to frequently asked basement finishing questions. Question: Hi... very basic question... :) When you say Basements done for $9999, what would that include (what size area can be done for approximately that amount)? I realize size and many other factors come into play, but we live in PA and are limited in terms of what we can spend - I didn't want to have someone make the drive to PA only to find out the cost was way out of our league. It's a fairly large area. Your work looks fantastic in the photos! Thanks. Response: Thank you for your submission. 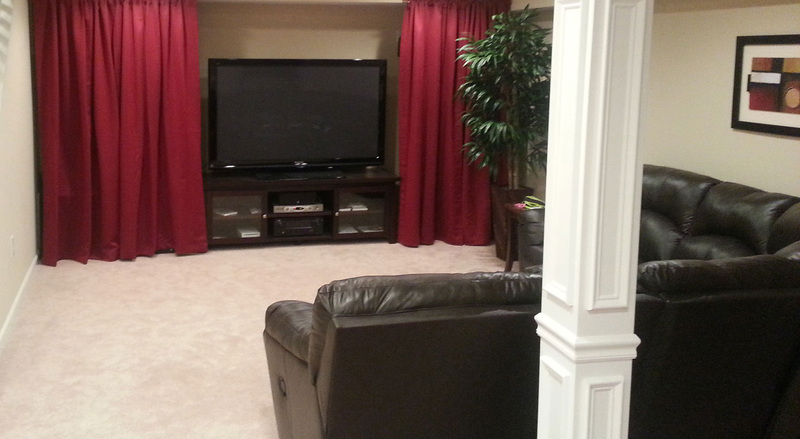 Our basic basement finishing package for $9,999 includes remodeling a basement area of up to 800 square feet. Included in the cost is measuring the area, creating a design/layout, framing, electric, insulation, sheetrock, taping and spackling, interior doors, and finished trim. We can install flooring, provide plumbing services, and add egress windows and exterior doors, but that would be in addition to the cost noted above. We also create custom spaces, such as bars, home theaters, exercise rooms, bathrooms, and more, but those options would also be at an additional cost. Question: What are NJ requirements for basement bedrooms? I want to add at least 1 bedroom in my basement which needs to be completed professional. The previous owner did a self project to half the space in my 1950 cape cod that will need to be demolished first. Response: Thank you for your submission. Almost all townships require a minimum of at least an egress window in the bedroom which serves as an emergency exit point, but not all townships allow bedrooms to be in the basement. You would need to contact the zoning department in your township to find out the specific requirements for a bedroom in a basement. Question: Can I add a step on the inside under the egress window to reach the required height of 44" as required by Code? Response: Thank you for your submission. It is acceptable to add a step inside, beneath an egress window, in order to comply with the 44" height requirement as per local building and fire codes. Question: Do you guys provide financing? Response: Thank you for your submission. We do have financing options available for our basements service. To learn more about these options, please contact our office at 877-777-0204. Question: I just close on a house . The seller painted the ground a day before the final workout. I did not do the inspection because of the short notice of closing and rate also was expiring. Can I sue the broker who helped this hidden transaction since she was representing both and knew about it? Here is my question to you: can you dig out to lower my basement and fix the water issue? Can you also at the same time finish my basement? If yes what is the estimate if the basement is 560 sqf. Please advise. Response: Thank you for your submission. Lowering the basement floor is possible, but it will require plans drafted by an architect. When the architect evaluates the work necessary in order to lower the floor, they can also provide you with a water remediation solution. The basement floor will need to be lowered prior to finishing the basement. The Architect will provide sealed plans for finishing your basement which can be submitted to your township for approval with the permit. The cost of the project is dependent upon on your floor plan and aesthetics you incorporate into the design. Question: What do you use in place of drywall to resist moisture in a basement remodel? Response: Thank you for your submission. For basements with moisture concerns, we suggest that a mold/mildew/moisture resistant product is used in place of standard drywall. For our installations in these conditions, we use green board or purple board - both of which are moisture resistant - or paperless drywall, which also prevents moisture uptake. Question: Hi! We want to finish a small room in our already finished basement. This would include updating an old egress and adding a small bathroom. The current egress is Bilco doors with metal steps that we would like to replace with a standard walkout door; however, these doors are close to our pool lines, so digging up the area may be difficult. We would also need to include a mascerating toilet, as the sewer lines are on the opposite side of the house (finished part of basement has a dropped ceiling). Water lines are nearby. 1.) Is there any way to repair the metal steps for the egress (they are currently not stable), OR would it be better to replace the steps in the same location with cement steps keeping the pool lines in mind, OR given the location of the pool lines would it be necessary (or possible) to seal up the current egress and move the location of the egress to the left a few feet away from the pool lines (or would this be difficult and costly). Which would you recommend and why? 2.) Do you have any experience installing macerating toilets? The sewage line is on the opposite side of the basement. Response: Thank you for your submission. It may be possible to repair the metal steps, but in order to make that determination, we would require an onsite inspection of your egress door and the surrounding areas. Regarding a macerating toilet, we do install those types of pump systems. Question: Hi, In my basement I have studs nailed directly to the cylinder block walls that the wood paneling/sheetrock was attached to. Can I re-use these existing studs and just put the rigid insulation in between them and attach the moisture barrier to the face of the studs? -thank! Response: Thank you for your submission. When framing your exterior basement walls, any wood that is in contact with concrete should be pressure treated. For requirements regarding installing insulation and insulating material requirements, as well as installing a moisture barrier, it is best to check with your township's building department as building codes vary and you will want to ensure compliance with code during your planning phase. Response: Thank you for your submission. It is possible to convert a crawl space into a full, finished basement. However, in order to do this, the crawl space will need to be dug out so the height complies with local regulations. To meet building codes, the ceiling height needs to be a minimum of 82 inches. Make sure that you hire a qualified company to do the conversion, as there can be structural issues if done improperly. We also advise having an architect draw plans for the work to be done before interviewing companies and moving forward with the project. Question: I have a partially finished basement, i.e., sliding glass doors and two walls framed and insulated. the room is 23.5 X15.5. I am not putting in heat or air just electrical, dropped ceiling, flooring, and doors, etc. quotes are coming in @19 - 20K. that seems high to me. What should I expect to pay per sq. ft.? Response: Thank you for your submission. The cost of finishing a basement is dependent on many variables, including size of the area to be finished, the amount and type of materials to be used, special upgrades that you are including in the design, and region in which you live. For a basic design, an average cost per square foot, including the drop ceiling, would be $14/square foot, and a typical basement finishing cost would be $11,000 plus upgrades and flooring. The cost for flooring varies based on the type of flooring material and the condition of the basement floor. Question: I'm thinking about starting a finishing basement project. It is not a walkout basement. Would an egress window/door be a good idea? I currently have 4 windows in the basement - 1 could be egress so to have outside access to bring things in/out. Pls advise. Response: Thank you for your submission. When finishing a basement, we believe it is always a good idea to have an egress exit. An egress window provides an additional entry point to your basement, and could be used as an emergency access point, if necessary. Most building departments require an egress window or door should you be including a bedroom in your basement finishing plan. You could also use an egress window for moving items in and out of your basement, but we suggest egress stairs for that purpose. Question: What is an average cost to partially finish a basement? Response: Thank you for your submission. The average cost for partially finishing a basement will primarily depend on the size of the area you are finishing and the design elements for your project. With our company, the cost for our basic basement finishing option is $9,999 for up to 800 square feet. For an average size basement (a basement for a 2,500-3,000 square foot house), the cost to finish a basement will range between $13,000-$14,000 for a project that does not include a bathroom, and $22,000-$24,000 for a project that includes a full bathroom. Question: Should I allow a basement with low ceilings and ducts protruding from the ceiling deter me from finishing my basement? Response: To maximize the available space for finishing your basement, you want to make sure that you optimize the ceiling height in your usable finished area. This can be accomplished by contacting an HVAC company and discussing relocating some or all of the ducts in your basement. Before finalizing your decision on whether to finish your basement, make sure that the final ceiling height is adequate for your use. Question: I'd like to get a rough idea for how much it is to install an egress window in central NJ. I realize the price may vary but a range would help. Response: You are correct in that the cost will vary depending on the complexity of the installation. However, the approximate cost for the average installation is $4000, which includes the excavation, cutting the foundation wall, installation of an approved egress window, window well, cover for the window well, and back filling the excavation. Question: My husband and I are considering finishing the basement in our circa 1950 cape cod. I had read that the ceiling clearance must be at least 7 feet in New Jersey. We measured the height to the support beams (I believe that is what they are called...) and it's just about 6 feet-8 to 9 inches. It's higher to the actual floor boards. Does this mean we can't finish the basement to code without lowering the floor in the basement (i.e., digging deeper)? Thanks! Response: Ceiling height for new construction has to be a minimum 82 inches. The permit for your basement will be written under the rehab code. There is no minimum ceiling height written under that code. Your Twp. could ask you to file for a variance. The paperwork is easy to fill out. The contractor you chose to have the work done with should be able to provide you with the information necessary to fill out the form. Question: Will there be local Building Department filing and/or permits required for the basement finishing project and who would be responsible for providing this service? Response: All New Jersey townships require construction permits, which include building, electric, and fire, as well as plumbing if required. Certain townships may require a zoning permit as well. The Basic Basement Co. will assist you with completing all necessary forms to comply with your town's requirements. Question: Hello. We are Angie's List members and found your company on their site. We are thinking about having our basement remodeled. Unfortunately, the previous owners of our townhouse thought that they would attempt to "finish" the basement, which only means more work since I would guess that all of their dreadful drywall will need to be removed, and the horrible dropped ceiling also. Really, it would be more efficient to have a bare, unfinished basement! My question is, will the "de-construction" add significantly to the cost of the project? Response: It is always better to start a basement finishing project with a bare basement as the demolition of existing work will always increase costs. The demolition cost is based on the amount of demolition work required. Question: How long on average does a basement finishing project take, from start to completion, for an area that is approximately 1,000 square feet?